It has been a while already that I developed my passion for architecture photography and London is amazing for strolling around mews and streets and finding perfect building to take picture of. How is it possible to be drawn into two opposite things? 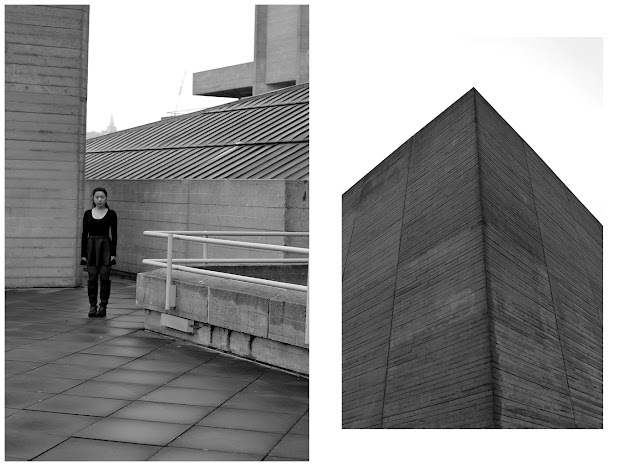 Mesmerized by concrete and loud structure and yet found an inner quiet space in minimalist and clean space? 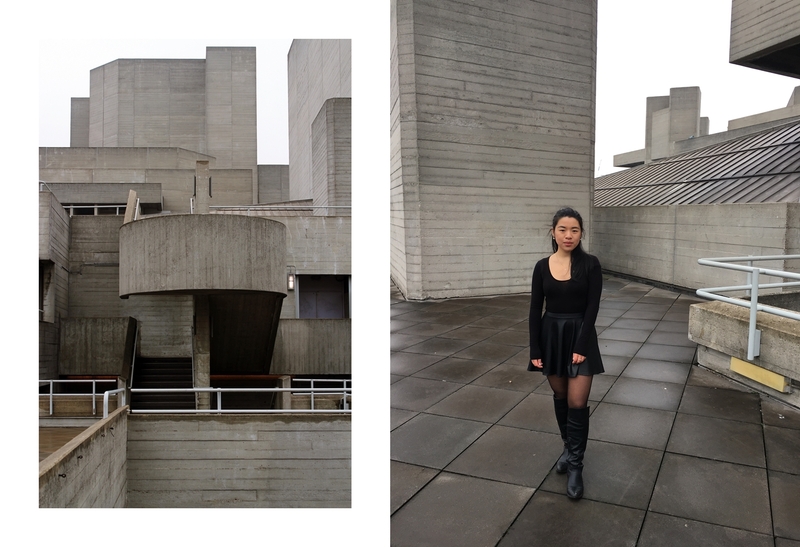 The other day dressed all in black (again) around these grey minimalist architecture and snapped couple pictures against it. "Minimalism is not about having less. It's about making room or more of what matters".